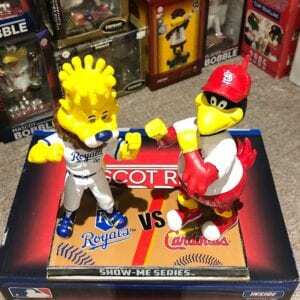 There’s nothing better than 2 rival team’s mascots going at each other with closed fists. 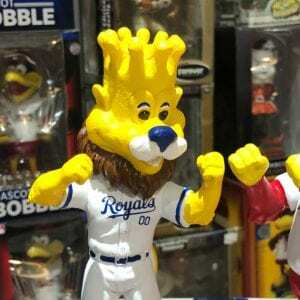 The competitiveness of two historical franchises and their loyal fans is just not enough. 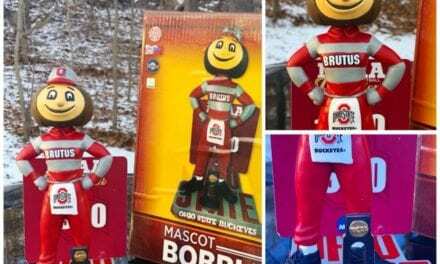 There’s gotta be some other type of way to get underneath the opponents skin, and mascots are the perfect cure. 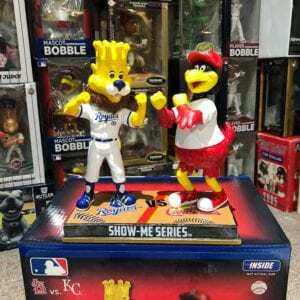 Fredbird and Sluggerrr (yes the exaggerated r’s at the end) dislike each other tremendously and the fellas over at the Bobblehead Hall of Fame acted upon their differences between each other. 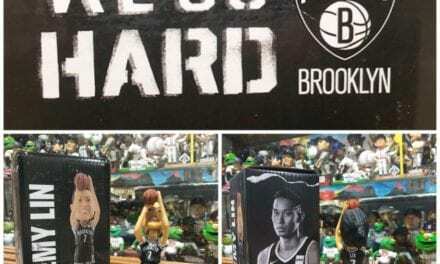 The amount of “pop” on this bobblehead is incredible. 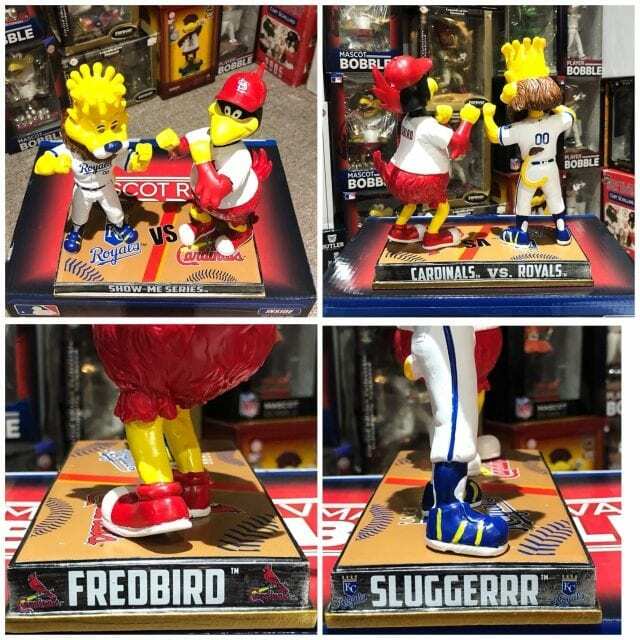 Fredbird and Sluggerrr are both in fighting stances ready to pummel each other. 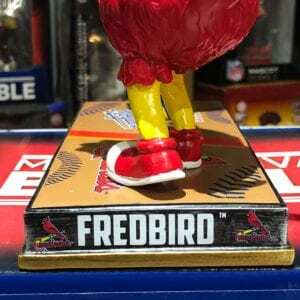 Sluggerrr definitely has the height advantage but Fredbird is much more “round” and has the weight advantage. Just think, we are looking at a bird versus a lion for christ’s sake. Who would you take in this brawl? 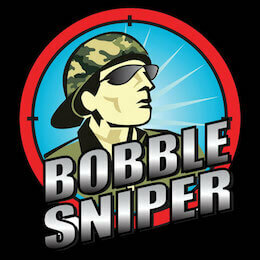 Sniper Rating: The letters aren’t “raised” and that surely has a few points deducted from the overall concept of the bobble. 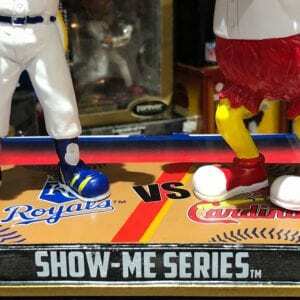 The top of the base is deluxe, as the KC and Cardinals logo is front and center along with the baseball stitches. 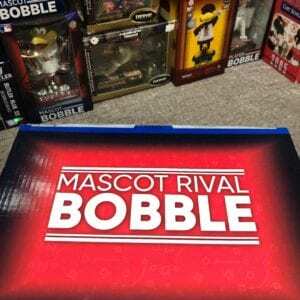 Most will think this is an over priced bobble at $75.00 but you’re wrong. 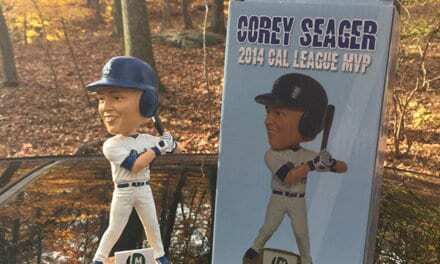 To manufacture this particular bobblehead is very expensive. Many collector’s don’t know the in’s and outs of the shipping freight, boxing, materials etc. 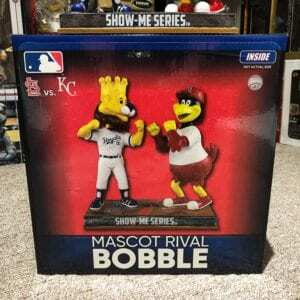 If you love mascots and especially either one of these teams, don’t think twice about clicking the purchase button. 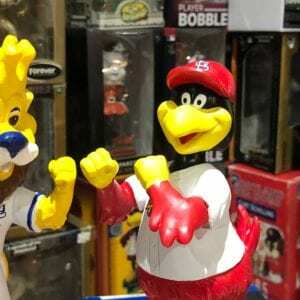 This duel Sluggerrr Fredbird mascot rival bobble, easily weighs 4.5lbs and will fit nice and snug within your display cabinet. 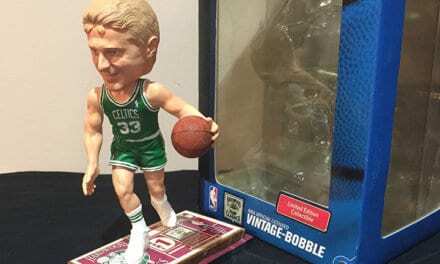 Head over to the Bobblehead Hall of Fame (link below) and watch the eyes of your friends stay glued to this one. 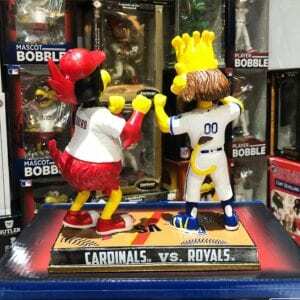 A 9.0 rating as it doesn’t get much better than this for a “Rival” mascot duel bobblehead. 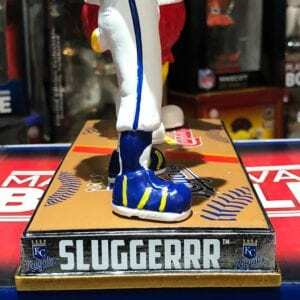 NextWhen you score a bobble for your personal collection, does the value matter?